GIF a common image format. 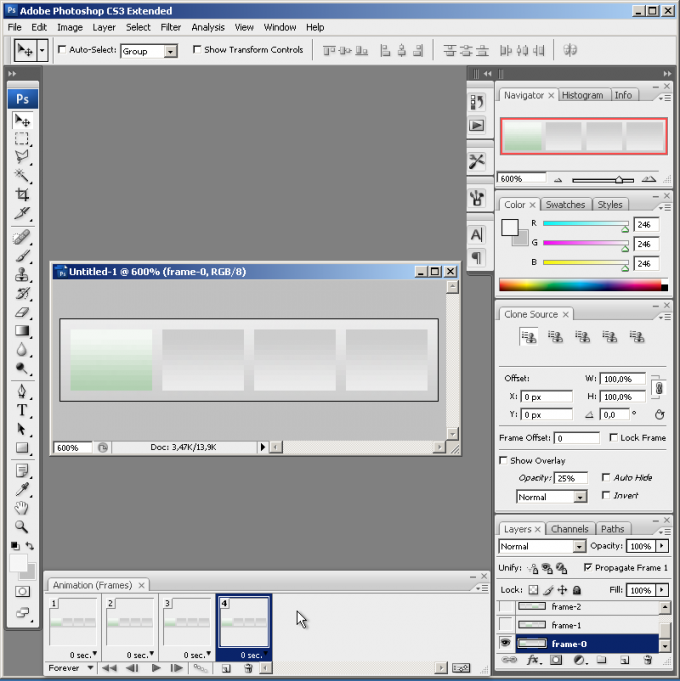 Most often it contains animated graphics, for editing which will require specialized graphic editors. To change the GIF, you need to produce a storyboard image, type the desired changes and save the file. 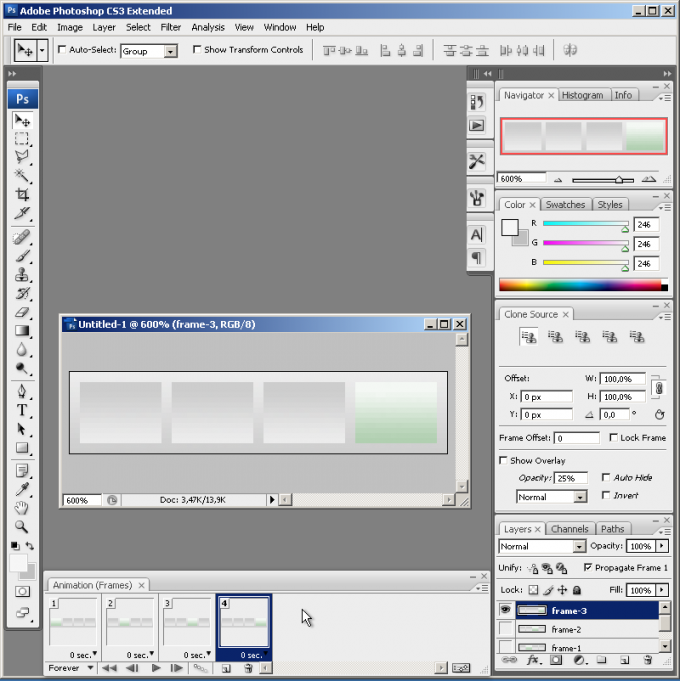 Edit animated images can be produced in Adobe Photoshop. Before using it you must also put a plug in for QuickTime from Apple. Only with this codec you will be able to perform the operation of image editing in this program. 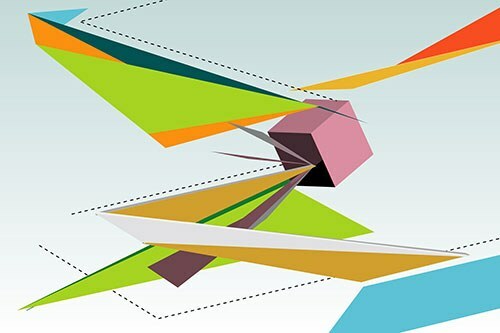 Open Photoshop and select File – Import – Video Frames To Layers. In the dialog that appears specify the type of QuickTime Movie. In the search string file file Name enter the query *. * or.gif. Now, among the resulting options, select your image you want to edit. In the menu that appears tick the points From Beginning To End and Make Animation Frames. Each frame in the menu will correspond to a specific layer animation. Single gif file composed of several layers. 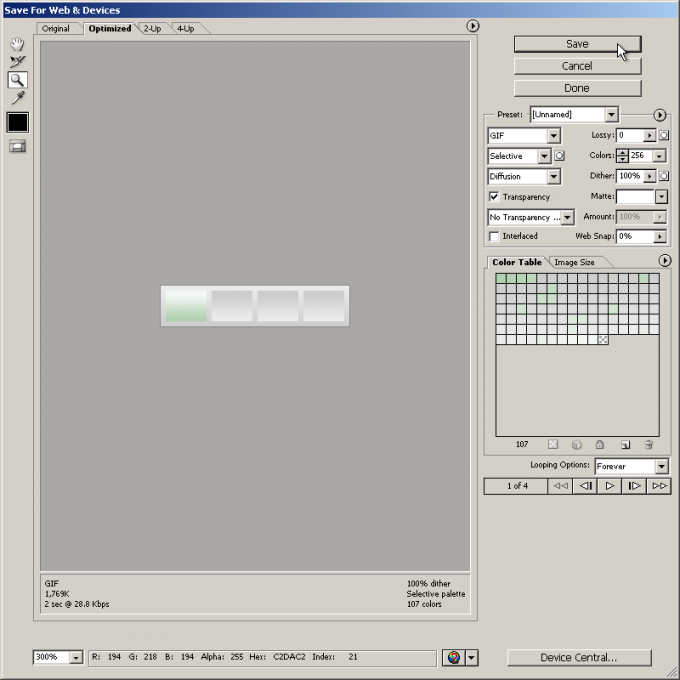 When choosing a particular frame is activated, the corresponding layer. Now, you can perform graphics conversion image. You can change the size and crop your animation using the Image – Image Size, and Image – Crop, respectively. To change the animation speed images, select the first frame in the window slides. After that hold Shift and click on last frame. Then click on the down arrow icon about any frame and select the desired frequency and speed. To delete a frame click on it, hold down the Ctrl and Shift keys on the keyboard. Highlight the desired consistency, transfer these frames to the trash icon editor window, hold down the left mouse button. To save obtained result, you can choose menu File – Save for Web Devices. In the opened section, specify the desired color, select the appropriate optimization settings. After making the transaction, click Save and specify the name of the resulting file. Change gif completed. Works for the basic editing functions you can also use editors such as Image Constructor, Easy GIF Animator, CoffeeCup Gif Animator, etc. these tools have small functionality and can be used for the works of the most simple operations on gif. Install any of these programs and open it in the system. Then, specify the path to the edited gif file and perform the configuration actions using the tools of the program. 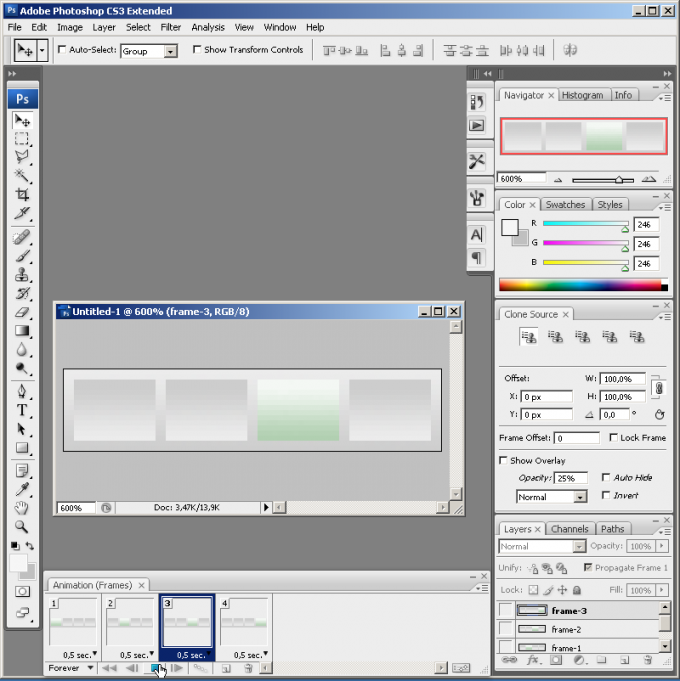 Raster graphics editor Adobe Photoshop has a reputation as a powerful tool for professional digital image processing. In most cases it is used for retouching, color correction, create collages, etc. But it does not end there. In photoshop you can make even gifanimations. 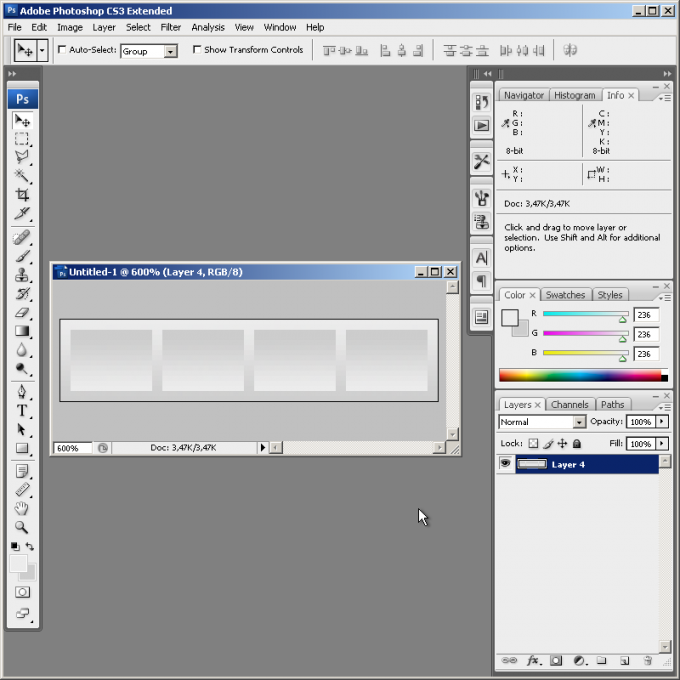 Create an Adobe Photoshop document, on the basis of which will be generated gif animation. Press Ctrl+N or select the "Open..." File section of the main menu. Enter the document settings in the following dialog and click OK. If the frame-based animation will be any image, draw it or paste from an external file. Add in the document the new layers. Their number should be equal to the number of animation frames (or key frames, if the transitions between them are planned to be generated automatically). 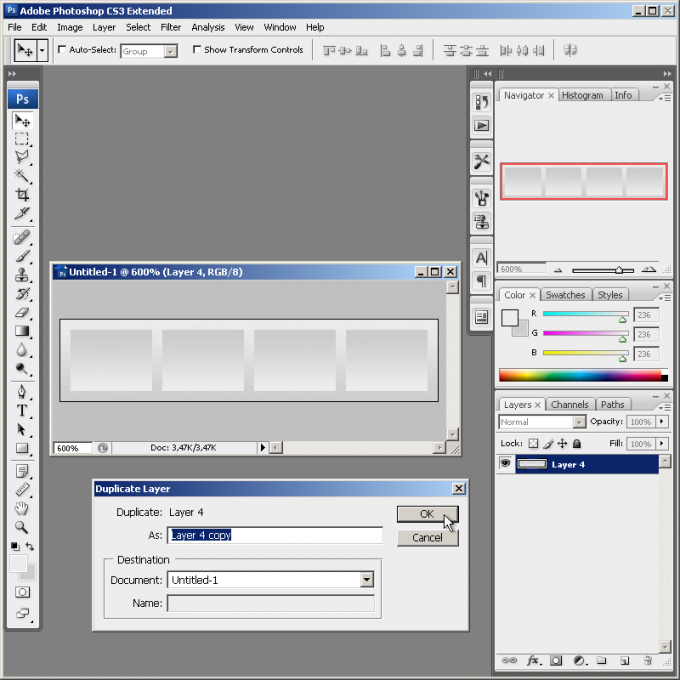 Duplicate the current layer, selecting in menu Layer and "Duplicate Layer...", if the frame must be a previously created image. Or add empty layers by clicking Ctrl+Shift+N. Create an image of each frame of the animation. Sequentially switch between layers and make the necessary changes (add parts, move parts of the image, enter the text, etc.). 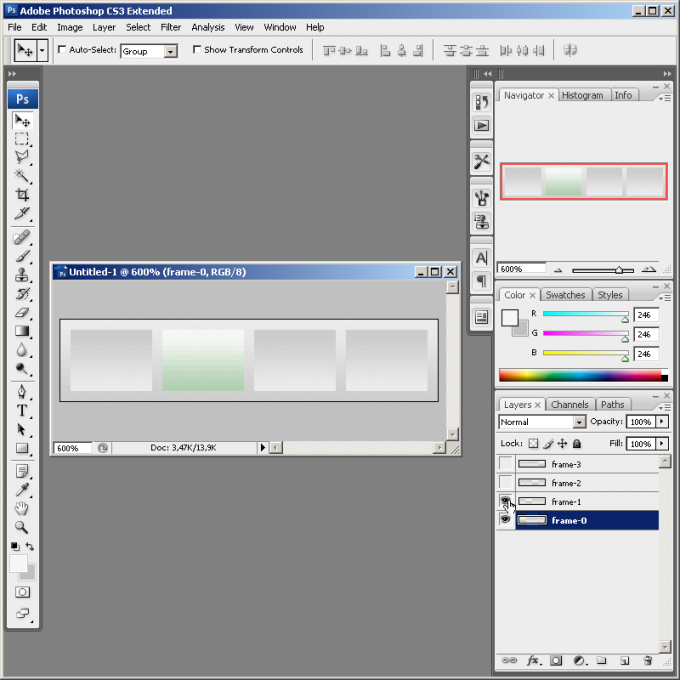 When working turn off the visibility of all layers that are above the current one. For analysis of the differences with the previous frame you can temporarily make the layer translucent by changing the Opacity. Activate the workspace for animation. In the main menu, select Window, Workspace, Video and Film, click Yes in the prompt window. After that, the menu will change and display the Animation panel. Add frames of the animation. 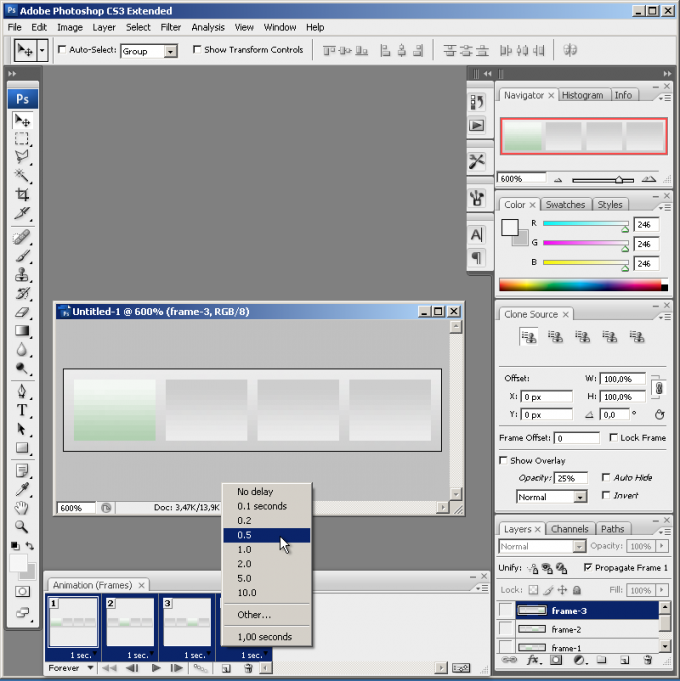 In the Animation pane, press the Duplicates selected frames. Do this as long as the number of frames displayed will not be equal to the number of layers created in the second step. Map layers frames. Select the item number 1 in the Animation panel by clicking on it with the mouse. In the Layers panel turn off the visibility of all layers except the one that should appear on the first frame. 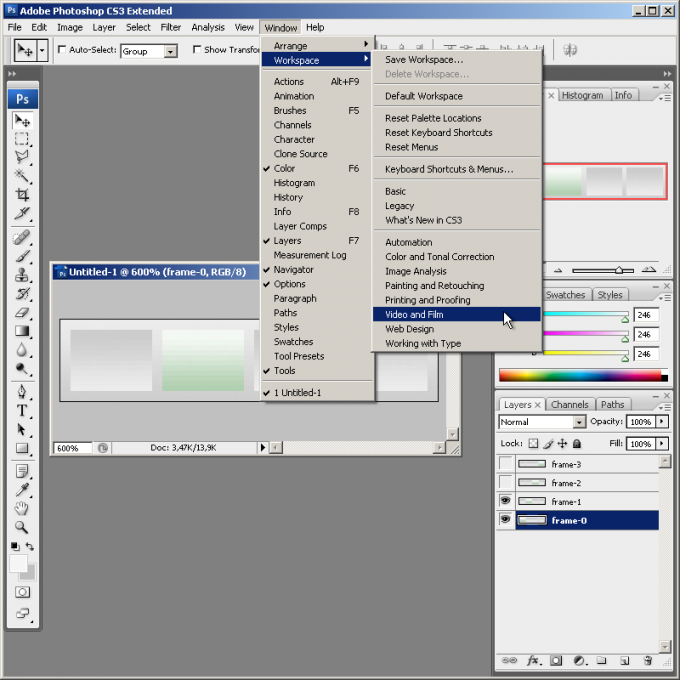 Consistently follow the same steps for all layers and elements displayed in the Animation pane. Define the output settings of the animation. Select all the frames in the Animation panel. To do this, click on them with the mouse while pressing the Ctrl key. Right click the mouse on the bottom of any of the selected items. In the context menu choose the time delay between a change of personnel. If necessary, change the number of times to repeat the animation by clicking the bottom left button (it has an icon in the form of a downward-pointing arrow). View the generated animation. Click the button Plays the animation. To stop playback, press the same button. Create a GIFanimation. In the menu select File and "Save for Web & Devices...". In the upper drop-down list Preset group dialog that appears select GIF. If necessary, set other parameters (type of palette, number of colors, etc.). Click the Save button. Select the storage location and file name. Click "Save". To generate additional frames between keyframes, select them in the Animation pane and click the Tweens animation frames. One frame can be mapped to several visible layers. This allows you to create animations more efficiently (for example, you can use the same background).